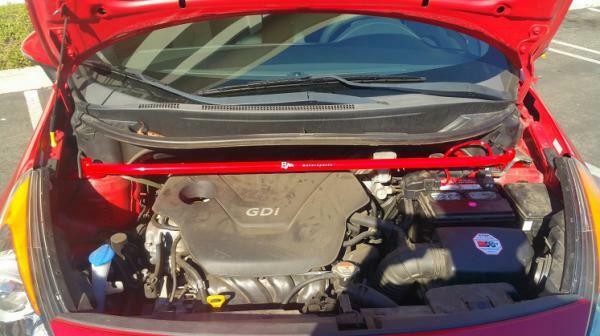 I am selling an Evilla Motorsports Strut Bar for the 2012-2016 Kia Rio. It is painted red. Cost: $100 Shipped within the contiguous US states. Will ship international but buyer pays shipping.